We sold out (again) Vancouver!! | Kaylin & Hobbs Pickles - New York Taste. West Coast Vibe. Kaylin & Hobbs Pickles - New York Taste. West Coast Vibe. New York Taste. West Coast Vibe. We sold out (again) Vancouver!! 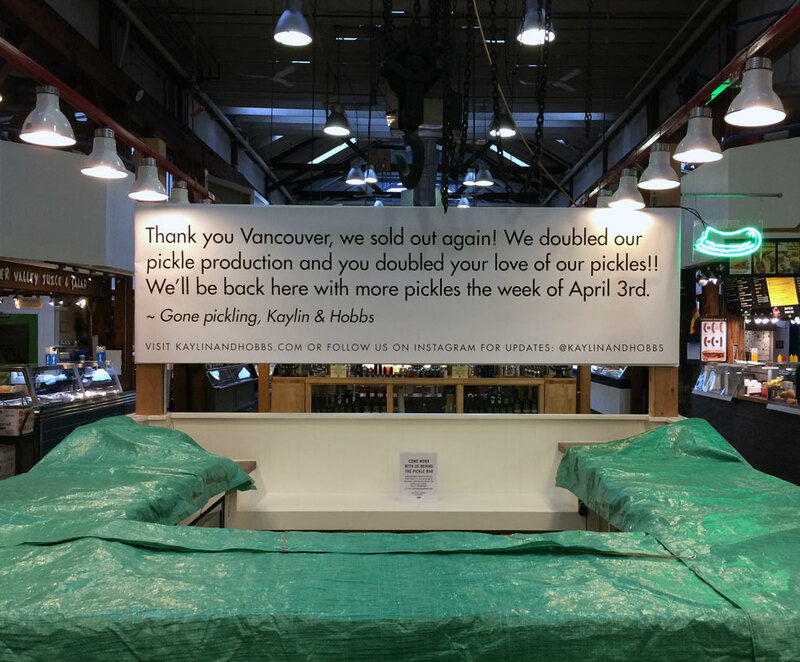 We doubled our pickle production and you doubled your love of our pickles!! We’re humbled by your support. And we are pickling just as fast as we can to get you a full supply of pickles in all six flavours. We plan to be back at Granville Island Market the week of April 3rd. Thanks for your patience and for your support, you guys are awesome!! © Copyright 2018 Kaylin & Hobbs Foods · All Rights Reserved · built by Hobson Builds Co.